Tension between managed-care contractors and Medicaid-reliant hospitals is boiling in Missouri, where the state is docking Medicaid payments for providers who don't join one of the three managed-care networks. Missouri's move, which went into effect July 1, has sparked an outcry from hospitals, who frame it as the state tipping its hand in what are often fraught negotiations with payers. The new regulation imposes a 10% fee-for-service cut on any provider who doesn't opt into the networks run by Centene, which does business in Missouri as Home State Health Plan, UnitedHealthcare and WellCare. Twelve of the state's 160 hospitals have not yet joined at least one of three plans' networks. A spokesperson for the Missouri Health Plan Association, representing all three managed-care insurers, defended the new mandate as simply an incentive for the outlying hospitals to engage with Medicaid now that managed care is the direction the state wants to go. The spokesperson said Missouri's managed care reimburses at no less than 100% of the Medicaid fee for service rate. But hospitals say the state is handing over all leverage for how they get paid to these plans. The carriers didn't fully absorb Medicaid coverage for the state's designated managed-care market—made up of poor parents or guardians of young children, children and pregnant women—until May 2017. 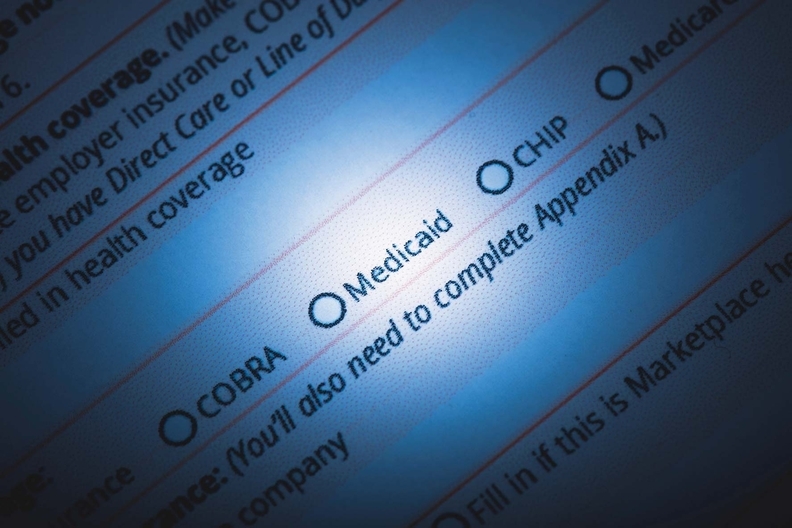 As of this year, they hold about $2.3 billion of the state's $8.8 billion annual Medicaid spending, the association's spokesperson said. For acute-care patients and the chronically ill, the state still pays providers directly through fee for service. "By tipping the leverage toward the state's MCOs, the change gives the plans unilateral rate-setting power," Missouri Hospital Association CEO Herb Kuhn wrote in the group's publication last month. "If a hospital doesn't agree to accept whatever payment rate the Medicaid managed-care plan offers, the plan can simply refuse to sign a contract, locking in the fee-for-service level cut." Steven Edwards, president of the CoxHealth system of six hospitals in and around Springfield, said he thinks the scale is already tipping. He has been negotiating a contract over the past year with the last of the three managed-care plans, whose network he hasn't yet joined, when suddenly last month the talks broke down. This signals, to him, that the rule limiting him to 90% of fee-for-service Medicaid if he doesn't enter the plan network is turning the tables. This affects his Medicaid-heavy rural hospitals since Missouri already has one of the lowest Medicaid reimbursements in the country. "We're negotiating a contract right now," Edwards said. "You would think that there is no motivation for the payer to pay more than 90%, because it will fall back to that for us." Edwards and other practitioners and hospitals are gauging how the regulation might affect obstetrics especially, since pregnant women are one of the largest segments of managed care and Medicaid covers the births of just over 40% of the state's babies. Medicaid deducts obstetric gynecologists by another 10 points, and typically hospitals subsidize them. Edwards projects that his system's 800-bed flagship hospital in Springfield, which delivers about 4,000 babies per year, would see a $5 million hit. About 30% to 40% of the babies delivered in that hospital are on Medicaid, Edwards said. Amid all the hospital outcry, the future of the regulation is uncertain as hospitals gear up to lobby the new governor. Republican Gov. Eric Greitens resigned last month and was replaced by GOP Lt. Gov. Mike Parson. "Our hope is that when attention is drawn to this matter and he realizes he has inherited something from his predecessor with implications probably not well understood — we would like to convince him to pause and get the Legislature involved," Edwards said. The fallout comes amid another new Medicaid controversy triggered late last month when Parson signed a $2.7 million contract with the consulting firm McKinsey & Co. to complete a comprehensive analysis of Medicaid. House Minority Leader Gail McCann Beatty, a Democrat, immediately flagged the award as potentially problematic because it was more than twice as much as all three competing bids combined. One of the rival contractors, Navigant, has already filed a complaint and asked for a rebid. According to the Jefferson City News Tribune, McCann Beatty alerted Parson by letter to McKinsey's "close ties" to a high-ranking Greitens hire, Drew Erdmann, the state's first chief operating officer. She also criticized the bidding process, begun on Greitens' watch, as "highly questionable." Kuhn is blasting the administration for pursuing the regulation before the analysis is done. In addition, he wrote, hospital leaders and the health department have already started discussions about managed care in the state. "This process should be allowed to play out," Kuhn said. "A half-baked solution could only compound the problems providers are experiencing currently." While the Medicaid transition into managed care has become the norm nationwide, plenty of states and rural states in particular have seen ongoing issues with the transition—particularly in places like Missouri that did not expand Medicaid and where the slim numbers translate into much tighter margins for managed-care plans. Iowa under former GOP Gov. Terry Branstad moved to managed care so quickly, after underestimating the per-person cost, that the state last year sought hundreds of millions in federal dollars to essentially bail out its program and keep the plans in their contracts. Faulty estimates for capitation have gone the other way too, particularly in expansion states. Rhode Island auditors in 2015, after the state expanded Medicaid under Obamacare, found the state had overpaid Neighborhood Health Plan and UnitedHealthcare more than $200 million and had to start clawing back the funds.